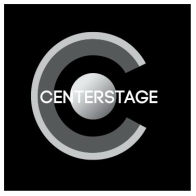 Center Stage has launched a new endeavor for local playwrights. Dubbed the Playwrights Collective, the program will allow a rotating group of writers to develop work, foster collaborative connections, and share professional mentorship within the framework of a resident regional theater. At the same time, it allows Center Stage to feed back into and help foster the local artistic ecology. Playwright Jacqueline E. Lawton joins Jennifer Barclay, Jenny Connell Davis, Alvin Eng, Liz Maestri, Lola B. Pierson and Craig S Richie for the 2015-2016 Season. The Playwrights Collective provides institutional access and affiliation, along with the catalyst for creation and collaboration, for a loosely affiliated group of local playwrights. Beginning this spring, a small group of invited writers was asked to explore ways of working in shared support, while being offered a range of association and engagement with Center Stage. Future directions for the initiative might include incorporating Collective members into teaching opportunities, the annual Young Playwrights Festival, activities like the Wright-Right-Now lobby commissions, and more. "Since I came to Center Stage, I have made it a priority to reach out and sustain emerging writers, especially our local voices," says Artistic Director Kwame Kwei-Armah. "As a playwright myself, I benefited enormously from the early backing of large institutional theaters. I am thrilled to get to pay that back-and forward." Adds Associate Director & Director of Dramaturgy Gavin Witt, "The Playwrights Collective is just the latest addition in an exciting array of opportunities we've been cooking up, and I can't wait to see where the writers themselves take it, and how they choose to use it." The Collective joins a growing array of artistic initiatives in support of playwrights and new writing at Center Stage. Other programs include the Hot Desk and International Hot Desk residencies and the Play Lab series of developmental readings, which helped create next season's premiere of X's and O's: A Football Love Story; and the Wright-Right-Now instant play commissions. JACQUELINE E. LAWTON was named one of 30 of the nation's leading black playwrights by Arena Stage’s American Voices New Play Institute. Her plays include: Anna K; Blood-bound and Tongue-tied; Deep Belly Beautiful; The Devil’s Sweet Water; The Hampton Years; Ira Aldridge: the African Roscius; Lions of Industry, Mothers of Invention; Love Brothers Serenade (2013 semi-finalist for the Eugene O’Neill Theater Center’s National Playwrights Conference); Mad Breed; Noms de Guerre; and Our Man Beverly Snow. Ms. Lawton received her MFA in Playwriting from the University of Texas at Austin, where she was a James A. Michener Fellow. She is a 2012 TCG Young Leaders of Color award recipient and a National New Play Network (NNPN) Playwright Alum as well as a member of Arena Stage's Playwrights' Arena and Center Stage’s Playwrights Collective. She is also a proud member of the Dramatist Guild of America.